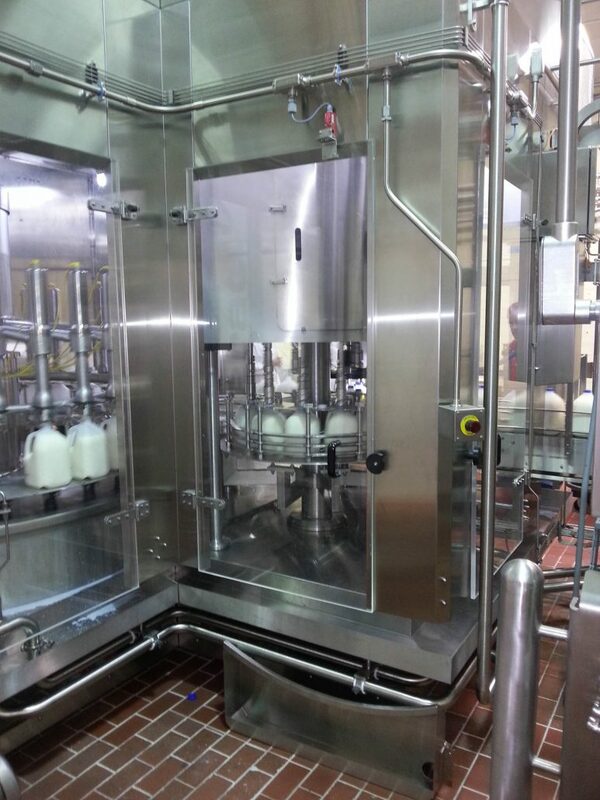 CEI™ provided process and packaging engineering services for the design, procurement and installation of a new Extended Shelf Life Filler in an existing milk plant with a total project budget of ~ $3.5MM. This required detailed design work for 3A dairy processes as well as water, steam, compressed air, CIP systems, chemical systems, automated sanitary (mixproof) valves and controls specifications. The client was extremely pleased with our methods of project execution and the final quality of the installation. This project had a high degree of complexity as it required the addition of new equipment and systems to be integrated into existing buildings and processes that had no planned down time available. Therefore, the design had to be segmented into 7 distinct phases with each phase designed for 24 – 48 hour installation periods over weekends and from midnight to 8 AM. Our fees for preliminary design, final design, project management and construction support services were directly in line with the client’s budget, not including the unforeseen scope additions due to retrofit of an old building, floor / drain repairs, additional equipment systems added, and late addition controls upgrades. CEI’s competitive bidding process saved the client approximately $513,000 which helped offset the project scope additions.